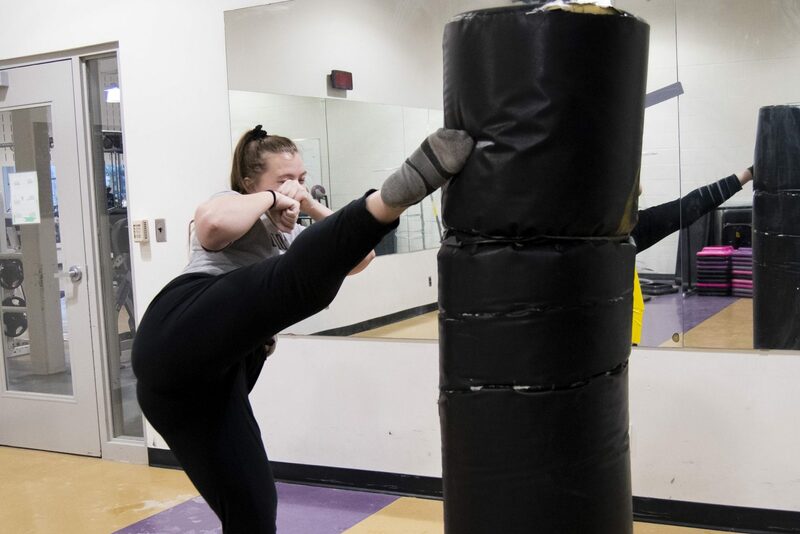 On Wednesday Jan. 23, the first class of a five-week series of Wen-Do Women’s Self Defence was hosted for students on the Wilfrid Laurier University Waterloo campus. The Laurier Sexual Violence Education Action Group, in conjunction with the Wellness Education Centre, organized this sold-out series. “It is a self-defence program that is a combination of mental self-defence as well as physical self-defence. We have discussions as well as physical practice. The discussions focus on awareness, as well as empowerment,” said Shailagh Keaney, the Wen-Do instructor and Laurier alum. This course comes at a time in history where women, more than ever, are speaking up and speaking out, sharing their personal experiences of sexual violence and sexual assault. Wen-Do training is survivor-centred, acting as a support for women to reveal their individual power and providing them with the confidence to move around more freely within the world. This year, the Wellness Education Centre noted the potential in picking up the training program, which is heavily subsidized by over 450 Laurier alumni who contributed to its ongoing mental health campaign. The course is designed for women to learn how to embody their power, to learn avoidance and awareness of what warning signs to look for in day-to-day life and to discuss the psychological, social and legal concerns surrounding self-defence. Another important aspect of Wen-Do is breaking the myths of sexual assault. A study from the Wilfrid Laurier Faculty of Social Work found that about 65 per cent of people misunderstand sexual assault law in Canada. As a result of this statistic, Keaney wants to bust that myth in her class. Wen-Do is unique in that it takes a more inward approach of identifying relationships within the lives of the women and what to expect within those relationships. In contrast, other self-defence programs often rely on the stereotype of “stranger danger,” with the perpetrator being an unknown person to the victim. “I want to put as many self-defence skills in as many people’s hands as possible because I want people to have the tools of survival in their hands,” Keaney said. Keaney grew up the oldest of four and was often the person amongst her friends that people would call when they felt unsafe. Although this protector energy inspired her to become a self-defence instructor, it was also a personal story about a friend of hers that chose to fight back against an attacker and unfortunately did not make it. The Office of Sexual Violence Prevention and Support were the ones who coordinated Wen-Do courses on campus throughout the past two years. Their generosity allows for the program to be offered to students at a fraction of the cost and adds to the greater picture of educating women on sexual violence.